Oh Norway, what an amazing country! 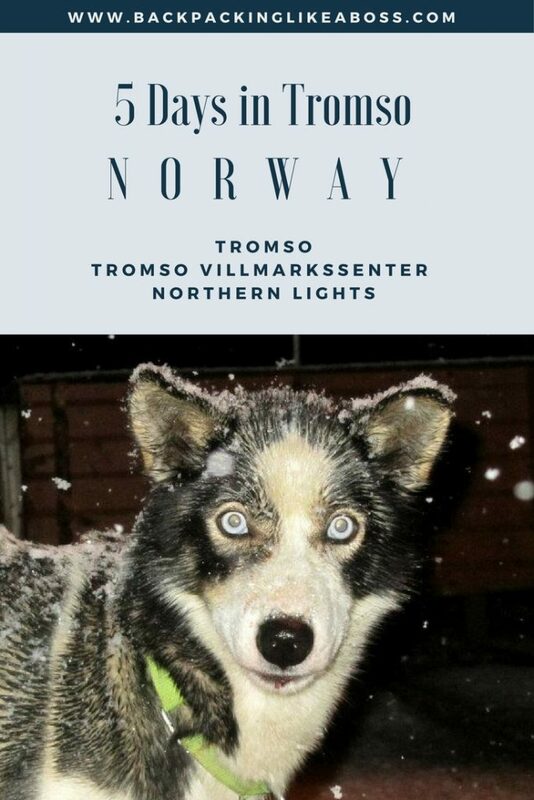 This trip to the most northern part of Tromso wasn’t easy and straightforward to organize, so hereby some details about this 5 day trip to Tromso in December 2011! You’ll find a day-to-day itinerary, a review of the Tromso Villmarkssenter and some tips about what to do and where to stay in and around Tromso. 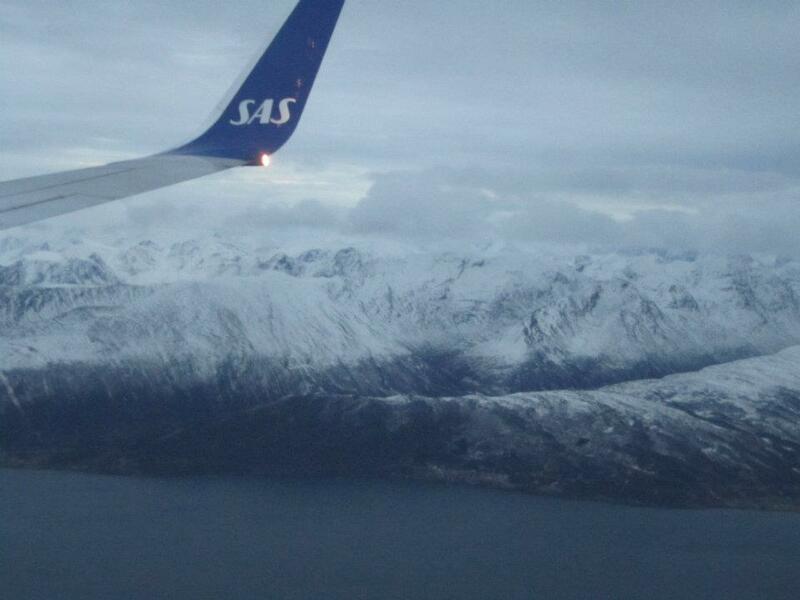 With Scandinavian airlines we flew from Bergen to Tromso for about €200. It’s also quite easy to fly to Oslo with a connecting flight to the north. We arranged accommodation and a transfer to Ersfjordbotn which is a small village 30 minutes from the city. We found some truly great accommodation at http://www.ersfjordbotn.no/. They have 4 cabins available with different capacities and prices. Very friendly people and prompt answer to emails. In the end we paid 300 NOK per person per night. Pickup from airport 200 NOK one way irregardless of the number of people. They will take you to the supermarket before heading into Ersfjordbotn cause there is not much there! The owners gave us a very nice cabin because the one closest to the water almost flooded because of the weather! We stayed in cabin nr 2 on the website. Stunning views from the plane already! The third day we arranged to be transferred by the guys from Ersfjordbotn (100 NOK per person each way) to the Tromso Villmarksenter. 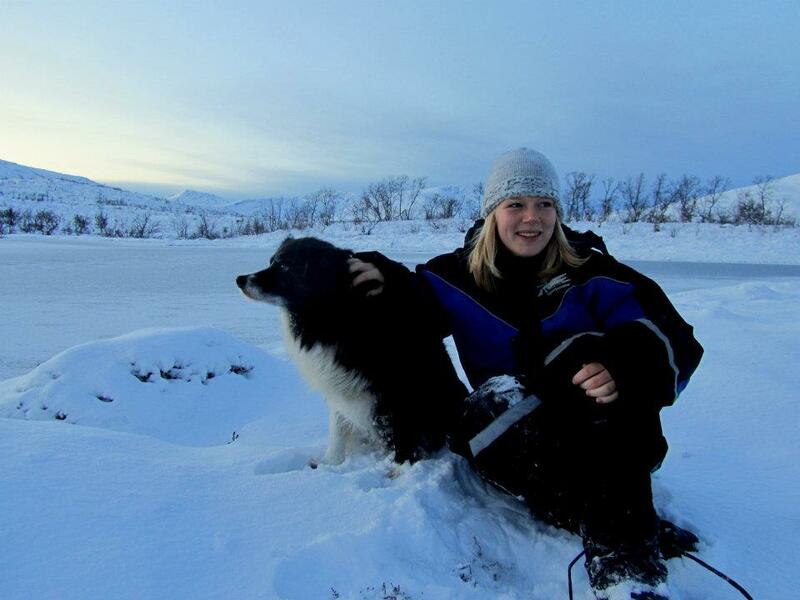 This is one of the main places to experience dogsledding in Tromso and alike activities. We opted for the Villmarksenter Aurora camp + dogsledding as we needed to sleep somewhere anyway and going up and down to the senter was not cheap either. NOTE: 10% student discount on everything! The whole place sometimes came across as very organized and therefore maybe a bit commercial. But when you hear more from the staff, you will find that they provide great activities and are mainly focused on training the dogs for big contests in the winter. The dogs seemed very well taken care of and the staff was awesome. A big plus for the food as well! Firstly, when you arrive, you get to meet the dogs and play with them a bit. You gets special suits to protect your clothes and keep you warm. Then you get dinner (reindeerstew and potatoes) in the sami tent and the guides / staff will call you when the lights are out, but you can also sit outside on the viewing terrace if the weather is good enough. You sleep in a sami-tent on reindeer skins with a fire in the middle to keep you warm. If you’re keen you can stay out all night for the lights! Here we actually saw the Northern lights! It was one of the best experiences ever, so beautiful! . After breakfast time it’s usually the time to go dogsledding. . 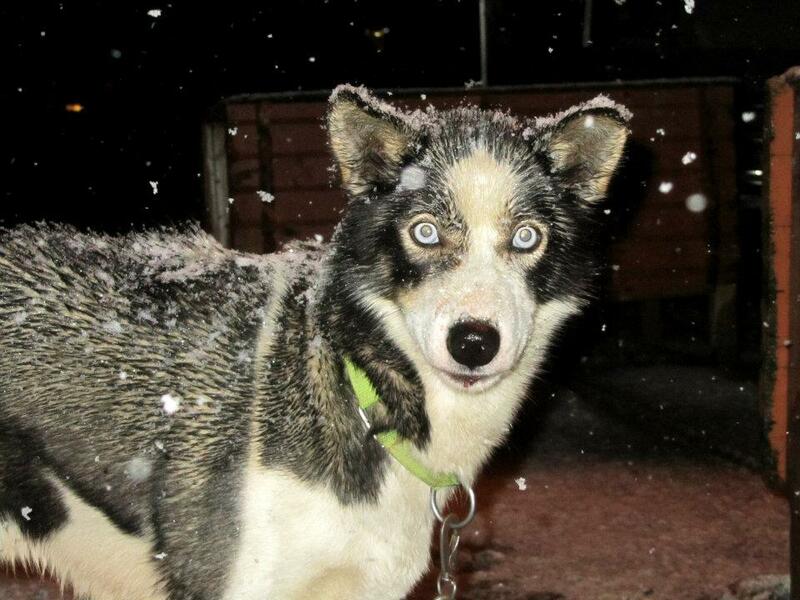 Unfortunately we couldn’t go dogsledding because of a lack of snow, but we made a hike with the huskies instead. This is one of the toughest things I ever did! We were only allowed to walk the old fat female dogs as the strong males would have dragged us through the snow :). It was a great walk, with beautiful views although we barely had any daylight! We got a good discount because we couldn’t go sledding but it was still a huge dissapointment. Prices for this trip are pretty high, but service is good and it’s not more expensive than anywhere in Norway. We got transferred to Tromso and explored the main street with its cute cafés and restaurants. We also checked out the http://www.perspektivet.no/ very nice litte museum, worth an hour or so. It’s free entrance and very nice welcome by the people working there! We stayed at Hotel Nord which was not great, but good enough for 1 night. Next morning we flew back to Bergen. It was an expensive but awesome experience 🙂 Still, to the best of my knowledge this was one of the cheapest ways to do it. 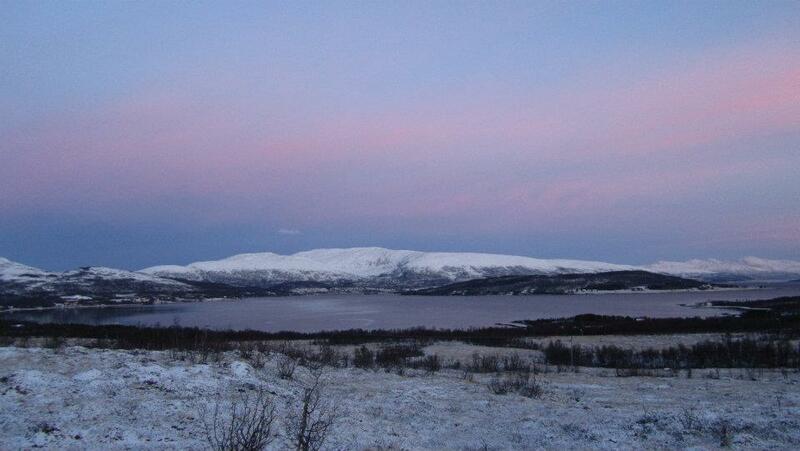 Although Tromso is far up north, it can be reached on a roadtrip throughout Norway. The roads in Norway are good. Many people come to visit the Lofoten and from there on, it would be a stunning drive to Tromso. Especially in summer this is not a problem. My fellow Dutch blogger Niels has written an extensive post that contains everything you need to know about driving in and roadtripping throughout Norway. Note: make sure to check weather and road conditions when you drive in winter! Having your own car also makes it easier to go see the Northern lights. However, if you don’t have a car, you can also take Northern Light tours with guides who take you out in the nature and bring you back to the hotel late at night. 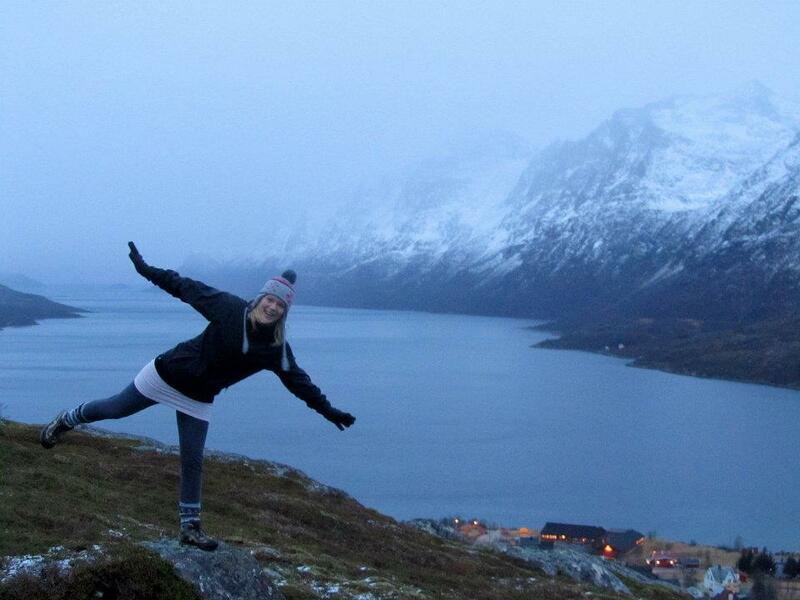 We also knew students who took the Hurtigruten for a part of the route and apparently this was a cool experience as well! So yeah, explore the opportunities and BARGAIN! In Norway, prices set on websites are not fixed, especially not in the off-season. Sometimes it was possible to half prices on accommodation just by asking nicely and stating we were students on exchange in Norway.